and finally, a few pirates of the caribbean! that said, the coolest thing about the boston show for me was getting to see and hang out with friends and fellow comic book lovers! i've said it many times before, but i love a show that is primarily comic book-centric; conventions like heroescon in charlotte, the baltimore comic con, and this one, where the focus remains on these four-color funnybooks that are the doorways to countless worlds of imagination! sure, san diego and the new york show are fun, but let's face it, they are more about hollywood and videogames than they are about comics anymore, right? craig and i got to spend some quality time hanging out with our own brian mulcahy, rich woodall, our good pal, thom (love and capes) zahler, and baltimore con owner and organizer, marc nathan on saturday night, enjoying a nice dinner and then some drinks. though i didn't get a chance to hang and talk with him all that much, it was great to see awesome perhapanauts colorist, mike thomas, on sunday, along with his son--and flatter!!--nate. we love the job mike is doing and can't wait for you to see his hues on the next story arc! wanting to get a picture of (most of) the current perhapanauts team, i asked nate if he would take a picture of rich, craig, me and mike together...i don't know how the johnny got in there--he just appeared as the flash went off, eager to be in the picture. funny! 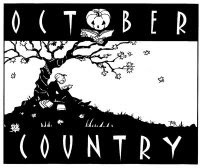 and, if i may, please let me remind you that i will be hanging out at the OCTOBER COUNTRY in beautiful downtown new paltz new york with my pal, the legendary FRED HEMBECK this saturday for FREE COMIC BOOK DAY!! if you're in the area, why not stop by and see us--and pick up a free comic book or two! That Mr. T is the Best. Cosplay. Outfit. EVER. "even better when you know that it's a 12 year old asian girl in there..."
As always, great hanging out with you, my friend.